Should I file for divorce first? 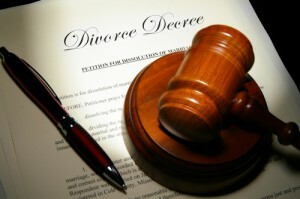 What are the advantages of filing for divorce first? Why Is it Better to File for Divorce First? In any Tennessee divorce, one spouse or the other will file the complaint and get the ball rolling.Remember the old Abbott and Costello baseball schtick “Who’s on First?” with a team of players named: Who, What, Why, Because, Today, Tomorrow, I Don’t Care, and I Don’t Know? Well being the one “Who’s on First” is often an essential component of divorce strategy. Filing to end a marriage should never be taken lightly and the desired outcome should not be left to chance. In an attempt to better control the events and the results, the spouse who files a divorce complaint may have some significant advantages over the responding party. Here are five reasons why being the one “Who’s on First” may influence the dissolution of a Tennessee marriage. 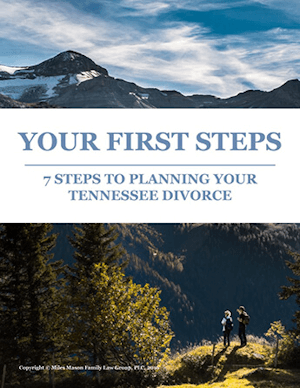 With divorce in Tennessee, there are five main reasons why it can be advantageous to be the party who files first. Although these reasons will have greater application with some divorces than with others, in general they may be influential to the case and should at least be considered when strategizing for divorce. 1. Going First if There is a Divorce Trial. Yes, almost all divorce cases settle. In a Tennessee divorce, the spouse who filed first will also take the lead if there is a trial. Depending upon the circumstances, this could be a huge advantage for the party who’s on first. For example, if you filed for divorce, then at trial your lawyer would present your arguments and your evidence first. As most of us learned in preparing for job interviews, first impressions are very important and can sometimes make the difference in achieving the results we hope for. This may not be all that significant in practice, however, because the majority of divorces are fully settled. When the parties reach complete agreement, there is no need for a trial. No disputed issues remain for the judge to decide regarding, for example, parenting time or the need for rehabilitative alimony. Similarly, in many contested divorces, one spouse generally takes the lead. Many experienced family lawyers believe that the more aggressive lawyer who initiates the action may have the advantage. That particular theory can be debated, however, but some husbands and wives certainly feel more comfortable filing the divorce (rather than being the one who has to react and respond to it). This is another control issue. The spouse who initiates can also have the action dismissed. The other party, the respondent, does not have the dismissal option simply because he or she doesn’t want a divorce. Like other states, Tennessee imposes a mandatory injunction on both parties the moment the Complaint for Divorce is filed if the requisite filing requirements are handled properly. By setting the filing date, the spouse who’s on first also controls when that injunction goes into effect. This mandatory injunction is intended to prevent the spouses from doing things during the divorce proceedings that affect the marital property, the children, and the other party. (5) An injunction restraining both parties from relocating any children of the parties outside the state, or more than fifty (50) miles from the marital home, without the permission of the other party or an order of the court, except in the case of a removal based upon a well-founded fear of physical abuse against either the fleeing parent or the child. In such cases, upon request of the nonrelocating parent, the court will conduct an expedited hearing, by telephone conference if appropriate, to determine the reasonableness of the relocation and to make such other orders as appropriate. If those prohibitions are insufficient to protect both parties, the children, and the marital assets, then either party may ask the court to broaden the scope of the injunction even further. To learn more about the automatic mandatory injuctions, see Tennessee’s Automatic Injunction: Throwing Water on Fiery Divorces and Tennessee Mandatory Injunction Law | Changing Life Insurance Beneficiaries, PART 1. 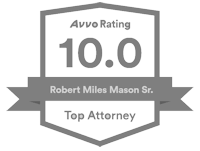 If you’re objective is to get from first base to home as quickly as possible in your divorce. If you’ll do anything to speed up the process, including being the one who files first, then take a few minutes to read how An Uncontested Divorce Can Settle in as Little as 60 Days. 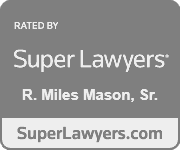 If you, your spouse, or a good friend is considering divorce, check out The Tennessee Divorce Client’s Handbook: What Every Divorcing Spouse Needs to Know by Miles Mason, Sr. This easy-to-understand divorce handbook covers all the basics, from child custody to alimony, and is currently available on Amazon and Kindle. Take a look at a excellent article in Forbes by Jeff Landers: What Are the Financial and Legal Advantages of Being First to File for Divorce? Landers points out several financial and legal advantages to being the spouse who initiates the action.